With a water conditioner installed in your Oklahoma City, Oklahoma, home, you may find that water-using appliances perform much better. One such appliance is the dishwasher, and if you are finding that dishes are coming out of the dishwasher with water stains, then a water conditioner could be the solution you are looking for. Water stains on dishes are commonly caused by hard water. The stains are actually deposits of calcium and magnesium, which are the minerals that cause hard water. 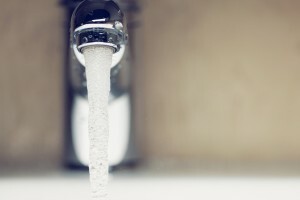 If you have hard water in your Oklahoma City home, you may also notice this residue left behind on your sinks and tubs as well. A water conditioner reduces these mineral ions by replacing them with innocuous sodium or potassium ions, resulting in “soft” water that no longer contains the minerals leaving behind these stains. Another benefit of washing dishes in soft water is that it rinses off more cleanly and allows soaps to work more effectively. In hard water, calcium ions join with the soap, preventing it from lathering to its full potential, while in soft water, soaps can produce a bubblier lather that works harder. So, not only does a water conditioner reduce the substances causing the water stains, it also allows the dishes to be cleaned more thoroughly. This results in dishes that emerge from the dishwasher sparkling clean and ready to be used, saving you the time that would be spent on rewashing or buffing glasses, dishes, and silverware before they can be used. If the dishwasher in your Oklahoma City, OK, home is leaving your dishes with water stains, a RainSoft water conditioner can help you get the sparkling dishes you desire. Contact your local authorized RainSoft today for a complimentary in-home water test.